Decolonizing Appearance is a large group exhibition curated by visual culture theorist Nicholas Mirzoeff from New York University. Decolonizing Appearance is the work of asking questions. What does decolonizing look like? How do the colonized and the colonizer appear to each other? How can the colonized have the right to look, the right to be seen – in short, the right to appear? Decolonization is not a metaphor. It is not a matter for art alone. The work on the walls in this exhibition resonates with conversations in the space, in the Trampoline House refugee justice community center where it is housed, in Copenhagen and beyond. As nationalism, racism, and xenophobia claim to be the 'common sense' of the global now, it is vital to continue to imagine other presents and possible futures. And to live in them. What would happen when appearance is decolonized? To whom can we appear? By what means? Who is that 'we'? 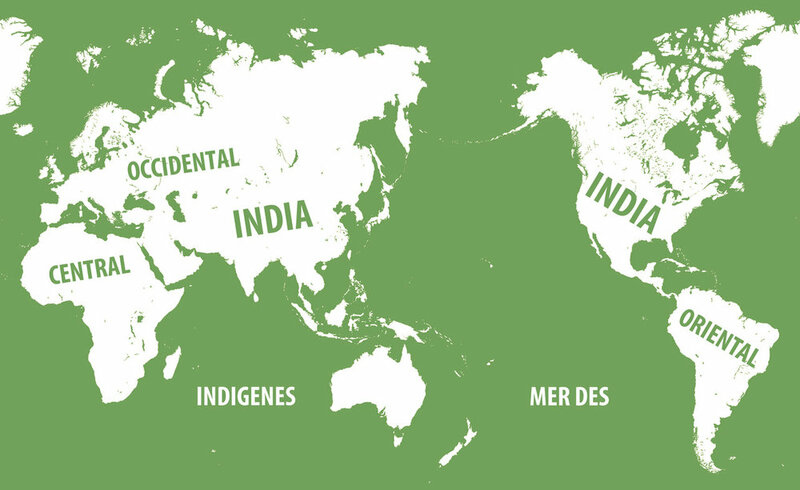 What has to happen for decolonizing to take place where you live? 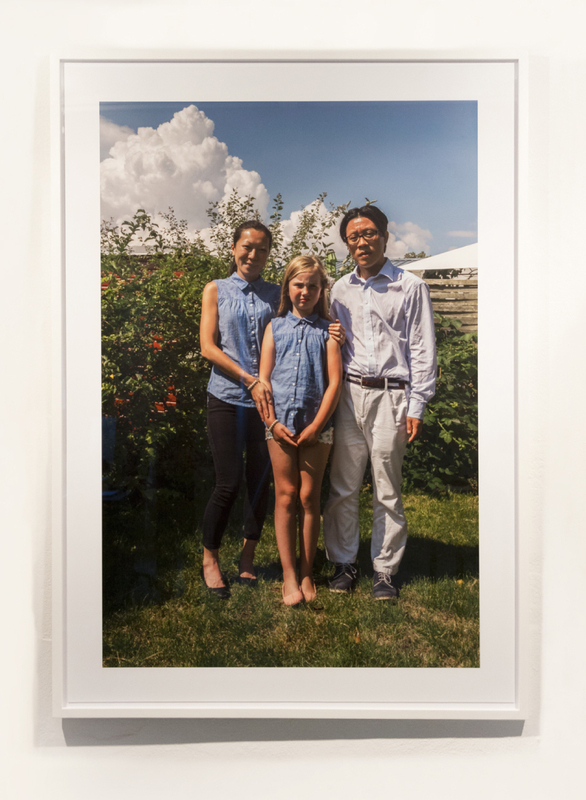 Decolonizing Appearance brings together collectives and individuals working on these questions in different ways in photography, video, installation, and text. The work addresses issues from Gaza to the Caribbean, Africa, the United States, and Denmark. It is not just something to see, it is something to do, from painting murals and making banners to decolonizing assemblies and workshops. In Decolonizing Appearance, solidarity is a verb and a question: what does solidarity look like? Direct action is a work of art. Militant research is the creation of a new perception – decolonized appearance. It is the making of worlds where no one is illegal, where Black and Brown lives matter, where no one has to use #metoo. In short, where each and every person is fully human, without preconditions and without hierarchy. The work in this exhibition helps us to learn what that might mean, whether it is Forensic Architecture showing us how to use social media to understand history; John Akomfrah giving material form to the tabula rasa of decolonizing in his The Utopian Palimpsest; Jeannette Ehlers confronting us with structural issues of coloniality, racialization, and migration; or Carl Pope’s letterpress posters on the meaning of Black and blackness. With so much more: Khalid Albaih networking Africa, while Pedro Lasch maps the global indigenous; Jane Jin Kaisen visualizing intersectional lives; Abdul Dube and Dread Scott question who can claim to be human; and Marronage and MTL Collective engage us with decolonial organizing and the Decolonizing Assembly. Nicholas Mirzoeff is a writer and visual activist. He is Professor of Media, Culture and Communication at New York University (NYU). Among his many books, How To See The World (2015) has been translated into ten languages and The Appearance of Black Lives Matter (2017) was published as a limited edition collaborative project with the artist Carl Pope (2018). A frequent blogger and writer, his work has appeared in The New York Times, The Guardian, Time, and The New Republic. He grew up in London and now lives in New York City. Join us for the opening party and hear guest curator Nicholas Mirzoeff talk about his ideas behind the exhibition. There will also be artist talks by Copenhagen-based artists Khalid Albaih, Abdul Dube, and Jeannette Ehlers, who have contributed to the exhibition. The evening is concluded with community dinner in Trampoline House and a dance party. Click here to see the program. 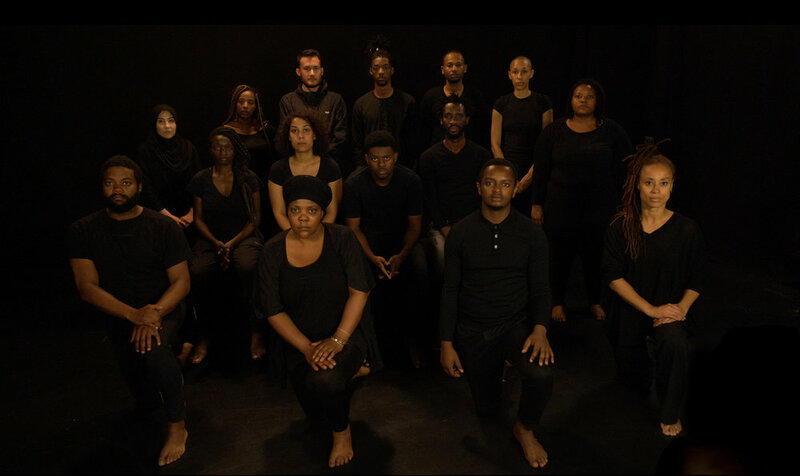 The Decolonizing Assembly is an assembly led by MTL Collective. The event will focus on what would be the framework for thinking through decolonization for the Trampoline House and CAMP spaces and its goers. MTL Collective will begin the conversation not with answers but the possibility of asking better questions as we gather together. The assembly also features a keynote by Professor of Postcolonial and Decolonial Studies, Gurminder K. Bhambra, who contributes with her paper “Decolonizing Appearance: Migration to Europe in the Context of Migration from Europe.” The event concludes with the happening We Are Here – Marronage Is Resistance by the decolonial feminist collective Marronage, who invites the audience to join them for a collective reading of Marronage's manifesto. Together, we will celebrate the past, present, and future acts of resistance. Click here to see the program. Trampoline House and its exhibition space CAMP / Center for Art on Migration Politics invite you to a Culture Night with soup kitchen, international art exhibition, and a debate on The Politics of Migrant Images with Danish-based Rushy Rashid (debater and radio host), Khaterah Parwani (lawyer and debater), Natasha Al-Hariri (lawyer and debater), Tarek Ziad Hussein (law student, author, and debater), Farhiya Khalid (journalist and historian), Nermin Durakovic (visual artist), Yannick Harrison (researcher, editor, and political economist), and more. Click here to see the program. Join us for this event that marks the closing of Decolonizing Appearance. 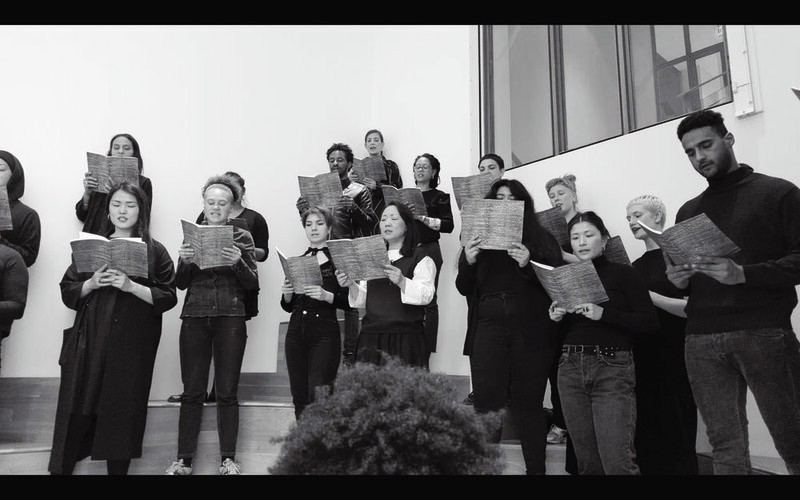 Under the heading Another World is Possible: poetry, performance and practice, the event brings together a group of cultural practitioners, who in different ways imagine other presents and possible futures through decolonial practice and aesthetics. Guest curator of Decolonizing Appearance, Nicholas Mirzoeff, opens the event by unpacking these questions in his talk “Decolonizing the Space of Appearance.” London-based artist Sonya Dyer will then present her new performance Forward, which contemplates how the abjected body can claim autonomy across the Mediterranean or across the galaxy. After the lunch break, hosts of the radio program Ghetto Fitness, Kian and MJ, who give a voice to residents in the so-called ghettos in Denmark that we often hear about but rarely hear from, will take audiences through their street training program, messing with our notions of the ‘well-integrated’ and ‘poorly-integrated’ immigrant. The event is concluded with the workshop “Naturalizations: Facial Politics and Decolonial Aesthetics” by artist and Duke professor Pedro Lasch. The workshop, which takes its starting point in the painted mural Global Indianization / Indianización Global that forms Lasch contributing to the exhibition, explores the epic growth of cultural and political power accomplished by the very populations who have been accurately and mistakenly defined by the idea of the ‘Indian’ and the ‘Indigenous.’ Click here to see the program. Every Saturday, CAMP invites you to a free guided tour in Decolonizing Appearance. The tours are conducted by graduates from CAMP’s art gallery guide program for refugees and asylum seekers in collaboration with CAMP education interns. The tours are conducted in English. Admission DKK 40/€ 5/$ 5. Free admission to people in the asylum system. For dates, see the special events calendar. The exhibition is accompanied by a printed exhibition catalog that can be purchased in CAMP or downloaded here from Sept. 15. In addition to introductions to the works and projects in the exhibition, the catalog contains essays by Nicholas Mirzoeff, Gurminder K. Bhambra, and Marronage. Decolonizing Appearance is the first exhibition in CAMP’s new 2-year focus! exhibition program State of Integration: Artistic analyses of the challenges of coexistence, in which some of the most visionary curators and artists of today will examine why immigration poses such a major challenge to the West, and how refugees, immigrants, and diaspora populations experience demands of integration or assimilation into the majority culture. The exhibition is generously supported by: Det Obelske Familiefond / Statens Kunstfond / Foreningen Roskilde Festival / European Cultural Foundation / Københavns Billedkunstudvalg.